Mr Kroell has been a Venture Capital professional over many years prior to joining De.mem. In his last role, he was Director and Partner of New Asia Investments Pte Ltd, a Singapore-based technology investment firm. Mr Kroell has been a Venture Capital professional over many years prior to joining De.mem. In his last role, he was Director and Partner of New Asia Investments Pte Ltd, a Singapore-based technology investment firm. He had been responsible for numerous investments in companies from the water, industrial and med tech sectors. Before that, he was with Nanostart AG, a German publicly listed nanotechnology-focused Venture Capital fund. 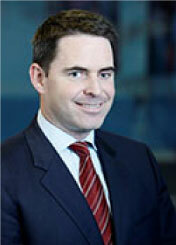 Besides, he held roles in corporate finance and audit with Deutsche Bank and Deloitte &Touche in Germany. 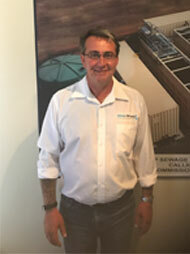 Shane Ayre is an experienced water industry professional. He founded Akwa-Worx back in 2003 and developed it into a leading supplier of water treatment systems in Queensland and Australia, as it is today. Shane successfully completed countless projects during his career, ranging from potable water generation over sewage treatment to industrial waste water treatment. Besides his role at Akwa-Worx, he is a member of the senior management of De.mem Group. Mr. Teo is an experienced professional who looks back on a long term career with companies in the engineering sector. I.e., he had been involved in the construction of numerous solar power plants under one of his previous assignments. Mr. Teo is an experienced professional who looks back on a long term career with companies in the engineering sector. I.e., he had been involved in the construction of numerous solar power plants under one of his previous assignments. In his last role, Mr. Teo managed the activities of a Non-Governmental Organization based in Singapore which funded and built numerous water treatment plants in South East Asian countries. Mr. Suarin has extensive experience in the design, construction and operations of different types of membrane-based water and waste water treatment systems. He has been working in leading engineering and project management. Mr. Suarin has extensive experience in the design, construction and operations of different types of membrane-based water and waste water treatment systems. He has been working in leading engineering and project management roles for more than three decades. Mr. Suarin joined De.mem from Hyflux and had also spent many years with Doosan Hydro, a Florida-based SME specializing on de-centralized water treatment systems, and other companies from the water sector. Amongst others, he initiated the concept of modularization of BWRO/SWRO skids. 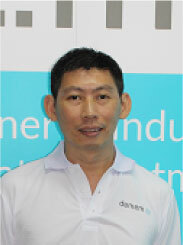 Mr. Chieng is De.mem’s expert for system automation and control. He brings in many years of experience in the automation of water treatment systems and industrial production lines and machines. 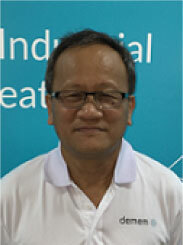 Mr. Chieng is De.mem’s expert for system automation and control. He brings in many years of experience in the automation of water treatment systems and industrial production lines and machines. 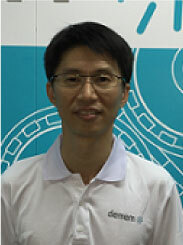 Prior to joining De.mem, Mr. Chieng worked with Hyflux in Singapore. He also spent more than a decade with different companies from the semiconductor sector. He has extensive know how i.e. in PLC/HMI, SCADA, SQL as well as software and web development. David brings in more than 15 years of experience in the membrane industry. 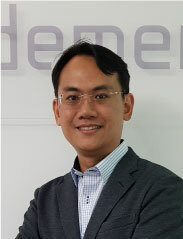 He has worked for companies from the water industries such as Mann & Hummel and Hyflux, Singapore, in different departments, with a focus on the membrane and related technologies. 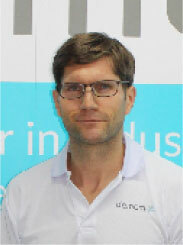 Bernd Dautel is a Director and Partner with New Asia Investments since 2012. Prior to this, he was the Managing Director of Wieland Asia/Pacific in Singapore. The Wieland group with headquarters in Germany is one of the world’s leading independent producers of semi-finished copper and copper alloy products. Under Bernd’s lead, over a period of 18 years, Wieland‘s business in the Asia / Pacific region grew from a small enterprise to an organization generating more than 400 million SGD in revenues per year. Mr Edwards is a Geologist and Economist with over 20 years of experience in Senior Management in both the private and public sector. He holds a Bachelor of Business (Economics and Finance) from Curtin University of Technology and a Bachelor of Science (Geology) from the University of Western Australia. Mr Edwards spent three years with Barclays Australia in their corporate finance department and then eight years as an exploration and mine geologist with companies such as Gold Mines of Australia, Eagle Mining and International Mineral Resources. Mr Edwards also acts as a Non-Executive Director of ASX listed Norwood Systems Ltd (NOR) and as Non-Executive Chairman of International Goldfields (IGS). Mr Trimigliozzi looks back at a successful, almost 30-year long career in the feed and food ingredients / flavors & fragrances industry, an important target market for De.mem Pte Ltd. In his last assignment, he was the COO of Wild Flavors International, Germany, responsible in particular for the Asian and South American business expansion. 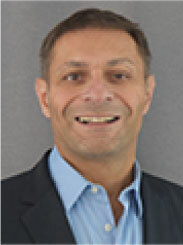 Mr Trimigliozzi was a member of the key management team involved in the sale of Wild Flavors on behalf of owner Mr. Wild and private equity investor KKR to ADM Group for approx. 2.5 billion USD. Prior to that, Mr. Trimigliozzi had been in other senior management roles, amongst other as Managing Director – Asia for Givaudan, a multinational corporation from Switzerland. Mr Carmichael is a Chartered Accountant with over 20 years’ experience in the provision of corporate advisory services both within Australia and internationally. 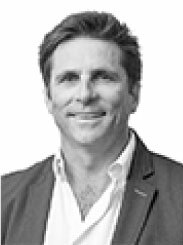 Mr Carmichael is a principal and director of Ventnor which specialises in the provision of corporate and financial advice to small cap ASX listed companies including capital raisings, IPO’s, corporate restructures and mergers and acquisitions. 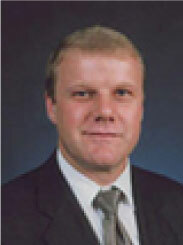 Mr Carmichael graduated from the University of Western Australia with a Bachelor of Commerce degree in 1995, gaining experience with KPMG Corporate Finance in Perth and London before joining ASX listed property services and engineering company UGL Limited (ASX:UGL).